The future is now, because today marks the 30th anniversary of "1984," the iconic Super Bowl ad that heralded the debut of Apple's Macintosh computer. The commercial was directed by Ridley Scott, who'd already released "Alien" in 1979 and "Blade Runner" in 1982. "The futuristic look in 'Blade Runner' was very appropriate to what we were trying to capture in the commercial," said ad man Fred Goldberg. As an account person for Chiat/Day, he acted as the liaison between the spot's creators and Apple (AAPL) co-founder Steve Jobs. 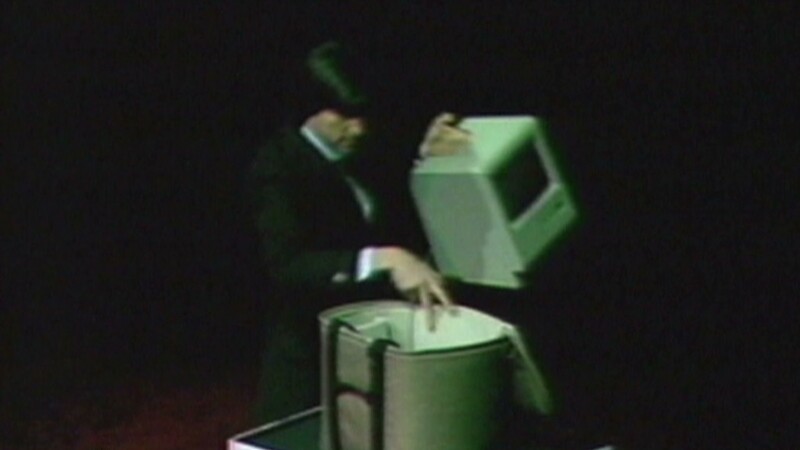 According to Goldberg, Jobs was enthusiastic about using the "1984" concept to unveil the Macintosh, which became the first user-friendly personal computer to be embraced by the general public. "He was the kind of guy you show something to, and he had a visceral reaction," said Goldberg. "He was right on it. He really liked it." The ad was based on George Orwell's dystopian novel "1984" and filmed on the outskirts of London. It shows blank-faced proletariats with shaved heads staring raptly at a screen as Big Brother lectures about "a garden of pure ideology ... secure from the pests of any contradictory force. We are one people with one will, one resolve, one course. We shall prevail." A female athlete wielding a sledgehammer runs into the room, pursued by police, and hurls it into the face of Big Brother. The spot aimed to suggest that the Macintosh would have a revolutionary impact on consumer computing, and ended with the tag line: "On January 24th, Apple Computer will introduce Macintosh. And you'll see why 1984 won't be like "1984.'" In reality, the 200-plus extras were anything but robotic conformists. "About 75% of those guys were skinheads, and they were really nasty fellows," said Goldberg, who recounts the experience in his book "The Insanity of Advertising: Memoirs of a Mad Man." "They were crazy lowlifes. These were the guys who went around London at that time beating the crap out of immigrants." The actors were paid a total of $10,000, said Goldberg, and the shoot lasted three days. They spent much of that time sitting in a smoky room strewn with rubble, and eventually things got out of hand. "The last day they started throwing the rocks at each other," said Goldberg. "The security company had police dogs there [to control them.]" He said the extras also harassed women on the set, particularly the hammer-wielding actress. But Scott remained calm amid the barely controlled chaos. Goldberg said, "I never saw him flustered once"
The "1984" ad aired during the 18th Super Bowl, on Jan. 22, 1984, when the Los Angeles Raiders defeated the Washington Redskins 38-9 at Tampa Stadium. The ad actually aired once before that, said Goldberg, in order to qualify for 1983 creative contests. The producers didn't actually want anyone to see it before the big game, so they aired it in the middle of the night in Twin Falls, Idaho. The only feedback they got was from a person working at the TV station who called the agency, asking, "What was that?"